On a brazen autumn day, I stepped off the train at Richmond Station accompanied by three friends. Leaving the warm carriage behind us, we pulled on thick gloves and zipped up winter coats, to halt the chill breeze. We were buoyed up with anticipation. After a short bus journey and a stroll through leafy suburbs, the houses gradually receded and open parkland stretched away from our feet. I felt a sense of history envelop me as the medieval deer park gently revealed itself. As we strolled deeper into Richmond Park, we left the hard pathways behind and stepped into a landscape of soaring oak trees, russet bracken and dense mats of acid grassland. A succession of guttural roars plateaued the brittle air, lapping through branches around us. We cautiously tiptoed deeper into this new world, far removed from the hustle and bustle of nearby Richmond. Suddenly, to our left, we heard the rustle and crack of crisp vegetation being pushed aside by an unseen body. A broad antlered head emerged out of the dense undergrowth, belonging to a young red deer. Without even a cursory glance in our direction, he elegantly glided past with dignified head carriage, as if we were entirely invisible. We watched in silence as he continued onwards into the woodland with only one thing on his mind! Cervus elaphus, the red deer, is the UK’s largest species of deer and the UK’s largest terrestrial mammal. Historically this species was reduced to the brink of extinction in the 18th century in much of the British Isles, but has since seen an increase in numbers as a result of deer stalking, under-culling of females, and colonisation of forestry plantations (The Mammal Society, 2017) . Standing before these majestic animals is truly an awe-inspiring experience, particularly during the rutting season when the males are in their prime. Brimming with a surging rush of testosterone, they strut regally around their domain, heads held high, antlers decorated with garlands of bracken, muscles rippling beneath chestnut coats, with total focus on the task in hand – namely, seeing off rival stags and gathering a harem of graceful doe’s. Whilst red deer are often seen as being synonymous with the British countryside, to observe these animals from a few metres away, is to be elevated to an entirely different level of appreciation; an experience that I find profoundly moving. The magnificence of this spectacle: the clash of antlers as two males spar with each other, the noise and scent of the woodland as vegetation breaks and shifts, the vibrancy of the deer in the flesh, the primeval roar and focus of the males, cannot be adequately conveyed through the glaze of a television screen. Spending a few hours on that autumn day, quietly moving around Richmond Park and observing this ancient ritual, reinforced to me the conviction that we as human beings are emphatically not separate from ‘nature’ as is a surprisingly common viewpoint in the wider world, but that we in fact are ‘nature’. We can no more extract ourselves from the very fibres of this earth and its flora and fauna, than we can stop eating and breathing. I am convinced that there is something within each and every one of us that needs to be connected with natural systems and processes. This idea seems to be more and more apparent. 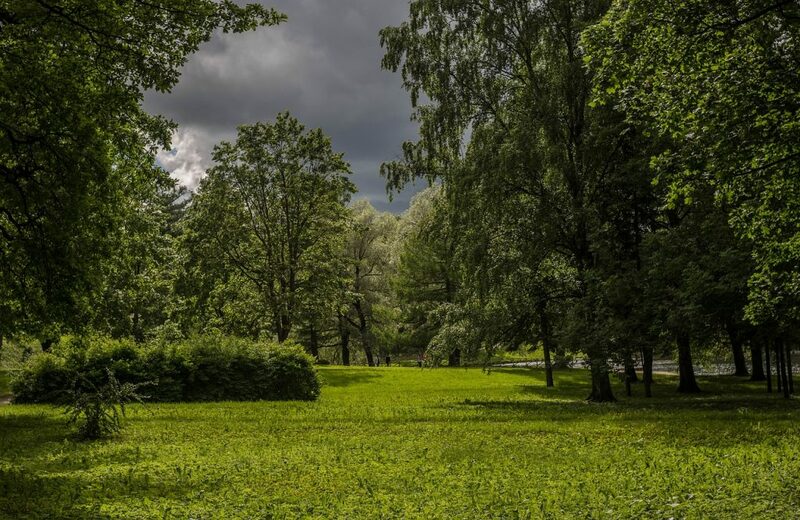 As we have become increasingly advanced in our technical abilities and in many ways, removed our day-to-day connections with the natural world, the more discontentment and mental disturbance appears to occur. Filling our worlds with electronic gadgets and objects, living in glass boxes surrounded by grey ribbons of pavements and towering hard architecture, does not satisfy the truest needs that exist within our core. Far from being dormant, the connection with our evolutionary history is raging inside us, ingrained at the deepest level and cannot be smothered with the trappings of ‘artificial fillers’. Now I know that this idea is far from revolutionary, indeed, many people have had certain unease for a while about our disconnection from the soil beneath our feet. However, it seems to be particularly pertinent with regards to the current world climate. As our small group left Richmond Park that day, we were frothing over with excitement at what we had been a part of. I should hasten to add that the friends that accompanied me are not ecologists, nor do they have any particular interest in nature, more so than the average person. However, the connection that we all experienced that day was in realising that we had been a part of something that nourished the soul, providing an instinctive connection with unseen roots. I comment on this from an optimistic viewpoint. I think that our need to be physically connected to the natural world is unshakeable and that the tide is slowly turning back to a more sustainable way of life. I envisage a future where we continue to develop our technical abilities and produce more of the wonderful advancements that we have to date, but we also rediscover our knowledge and heritage that is associated with the natural world and incorporate this into our towns and cities. As a professional ecologist based in London for over a decade, I have a passion for urban wildlife, seeking to enhance the connection between the humans that occupy the city, and the flora and fauna that tiptoe through the maze of concrete and glass. London is a surprisingly green city and has many areas of parkland and wide-open space scattered within its boundaries. Professional colleagues such as ecologists and designers are working hard behind the scenes to enhance these existing green spaces for wildlife and to join up the green patches, creating continuous networks of living chains throughout our environment; however, the volume of this work still feels too muted. Measures are too often seen as an add-on within schemes rather than a primary requirement. Living networks need to be resilient to both human interaction and the effects of climate change in order to fully maximise their value. They also need to be accessible; I don’t believe that habitat creation and ecological enhancement should be a game of ‘them and us’ so to speak i.e. ‘humans’ and ‘wildlife’ as separate entities. They should be designed to benefit both. By educating people about the needs of our wildlife and the benefits of ‘greening’ up our cities and towns with a long term invigorating vision, an enhanced understanding emerges and a desire to protect, nurture and sustain, prevails. Again, this concept of linkages between green spaces and creating vegetated roadways for our wildlife to permeate through the urban sprawl is not a new one. However, it is a message that needs to be reiterated again and again until it is not just a concept that is pursued by professionals, but is a concept that is embedded in the general public’s consciousness. I long for the day when ecological considerations in decision making are actually seen as imperative to human functionality and are not seen as a choice between the needs of humans and the needs of wildlife, they are seen as they truly are; that is interlinked and interdependent. We need this integration to happen more rapidly rather than in the fashion of a dripping tap, edging decade by decade towards this end, and the only way for this to occur with any speed is for the majority of people to be on board. It is up to the ‘professionals’ to work a little harder (smarter?) in getting knowledge out there to the people that can make the difference. Keeping this knowledge between the ‘scientific communities’, spending conferences and meetings affirming to each other, is not doing enough about resolving the issues. There needs to be a collaborative ‘heads together’ approach; a coherent proposal drawn up to engage the public. If they don’t understand the problems and it isn’t made relevant to them, they can’t push to resolve it. 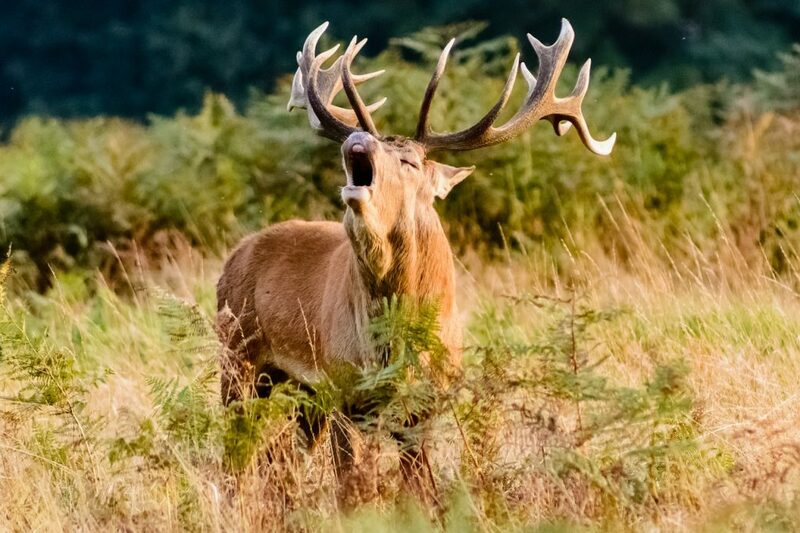 Take a person along to Richmond Park on an autumn day, to stand amongst the woodland and immerse them in the scents, sounds and sights of ‘nature’ in some of its most impressive cloaks, and I guarantee that they will respond to that at some innate level. 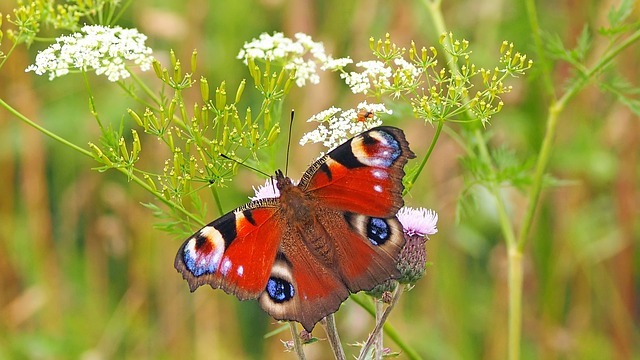 Take a person up onto a green roof in the midst of London on a hot summer day and show them the flitting insect life, and the rare flowers and birds that these habitats can support and they will be amazed. Take a person on a nocturnal walk on a balmy August evening and show them bats dancing amongst the shadows and trees in the middle of a London park and they will be enchanted. Show a person the simple steps that can be taken to support these species and talk them through the reasons why they should care, and they will begin to see the benefits and the reasons why they indeed want to encourage wildlife into their cities. I have taken the hardest nosed commercial developer out on site visits with me and pointed out the wildlife on their doorstep, and have seen for myself the change in that person’s attitude. Presented in the right way and within the right context, people can and do see the benefits of supporting wildlife and jump on board. Whilst this discussion does not take into account the much wider problem of global habitat loss and species decline, starting on our own doorsteps is at least a way of engaging people and making these issues relevant on a day-to-day basis. Once you make something relevant to a person you wish to enthuse, a snowball effect occurs and their gaze starts to extend wider into the bigger issues. My parting plea to the ‘professionals’ is to find ways to engage people in their surroundings. Make the story relevant to their lives. Illustrate not only the very practical and sound scientific reasons for enhancing our settings, but the less tangible enchantment of the wildlife outside of our windows; the hard to articulate reasons that are provided through an experience. My parting plea to the casual and interested reader is to get out there, open your front doors and see the world in a different light. Open your eyes and ears to the natural happenings on your own doorstep. Even if you live in the depths of the deepest urban jungle, wildlife is out there. 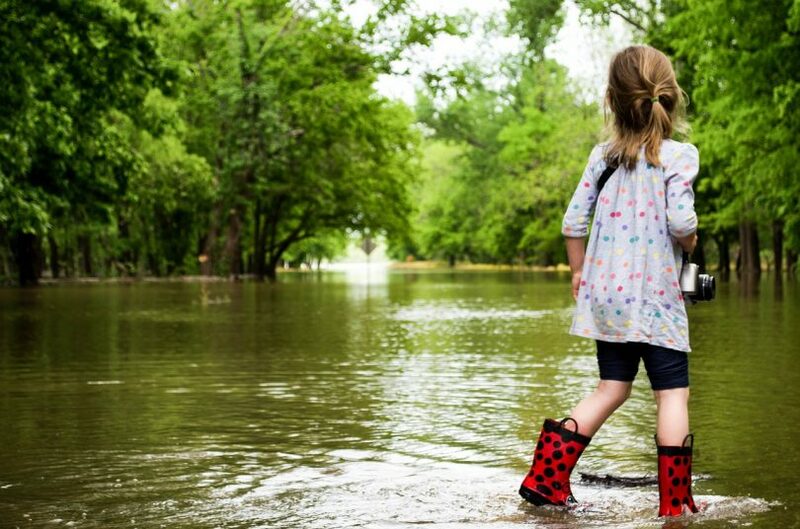 Find out what it means for you and think of the simple ways in which you can seek to re-engage with nature and learn about why it needs to be given a helping hand. Thank you for your article “Connecting people with nature.”. As a mental health counsellor/eco-therapist I wholeheartedly agree with your reflections and like you have had many wonderful moments reintroducing people to their ‘wild’ selves. I would like to see more interaction between the ‘scientific community’ and therapeutic one.